Derbyshire and fan engagement and digital analytic specialists, Sportego, have been shortlisted for Best Use of Analytics, Data or Research Award at the prestigious BT Sport Industry Awards. 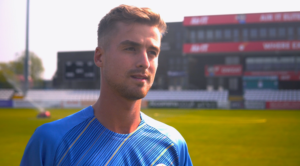 The county has been shortlisted for the award for the fresh energy they brought to promoting their T20 Blast fixtures in 2017, using data-driven insights to create personalised campaigns to targeted audiences. 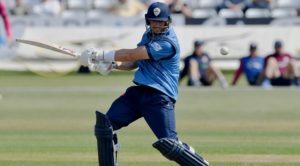 It resulted in record crowds at games in Derbyshire, with over 24,000 people watching T20 Blast games in the county – an all-time record high. 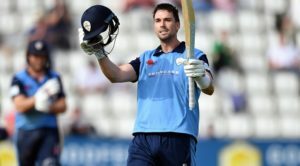 Average attendances also grew to a record high to over 3,400 and the Club achieved sold out crowds for the games against Yorkshire at Chesterfield and the quarter-final against Hampshire. The Club’s official Digital Analytic Partners, Sportego, used their vast experience and knowledge to help the devise data-driven marketing campaigns, identifying clear support segments and delivering personalised campaigns with added impact. Media and Marketing Manager, Chris Airey said: “We’re delighted to be shortlisted in such a competitive and prestigious category, alongside some of the biggest and best marketing, data and sports establishments in the UK. Tickets for Vitality Blast fixtures in 2018 go on general sale on Thursday 1 March. Price freeze for 2018. Club Membership will once again offer one great value price for all in 2018. Join today for only £159 and don’t miss a moment of the action this summer.